This Christian novel is filled with suspense. It's a novel about emotional and ultimately physical pain. It's about guilt, blame and forgiveness. The novel weaved in and out of my heart never allowing me a moment's peace until I finished it. 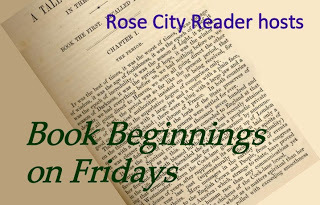 Ed and Miralee have a young love experience with one another that leads to a child. How their experience is viewed and handled by their parents shapes one Christian California community into anything but a Hallmark card story with rhyme and verse. The overwhelming pain of these families begins to play itself out one foggy morning. Audrey, the baker's wife, hits a scooter one morning. There is so much blood but no body. That really strained my brain. What could have happened to the person riding the scooter? Before I would learn what had happened that horrible morning a father and husband, Jack, would totally become unscrewed mentally. It's amazing the way a Christian mind can change or retrogress. It's also weirdly fascinating how people can shape Christian scriptures to fit their sick minds. At some point the ability to think clearly is just erased, gone. The novel is very thought provoking. I pondered the questions ERIN HEALY addressed in the novel. The answers to these questions were also fascinating and honest. For example, there is the question. "What are you afraid of?" I would reply heights, sharks or no way out of a dark room, etc. Never in a million years would I have said what is written in the book. "I'm afraid of never being forgiven." Another given answer, "I'm afraid of hurting so bad that I start to lose my faith." Once I read these words especially the words about "being forgiven," I realized that was my fear too. Living and knowing someone hasn't forgiven me is too painful. I know. I am experiencing it. 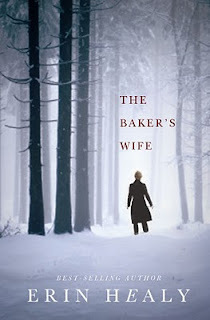 I also liked how the author of THE BAKER'S WIFE used the fog throughout the book. It seemed like a foreshadowing of what would happen or a glimpse of what was happening in the present moment. I began to pay close attention to the weather in this community while the church members were all askew with rage and fear. "The fog was thicker here than it had been in the cold alley behind the bakery, when Jack had pushed her out the rear door. The sun seemed so powerless against it." In the end a loaf of homemade bread will begin the process of restoration in each person's soul. I couldn't imagine Miralee's emotional pain after having seen her parents lose total control of their minds and lives. Thank goodness for Audrey's kind spirit. She visits her with a loaf of bread in hand. I was remind that Jesus calls himself our Bread of Life. With renewed spirits, after all the violence, Audrey and Geoff go back to their bakery and begin baking again. The bakery kept my mind spiritually grounded throughout their whole ordeal. Do I rise again like wholesome rosemary bread after tragedy? No, but I will try harder at it after reading THE BAKER'S WIFE by ERIN HEALY. "None of the damage made baking bread impossible. even more simply, making bread and feeding it to hungry people was what they did--what they would continue to do as a couple."
. The novel weaved in and out of my heart never allowing me a moment's peace until I finished it. Wow that would be my kind of book. Great review.